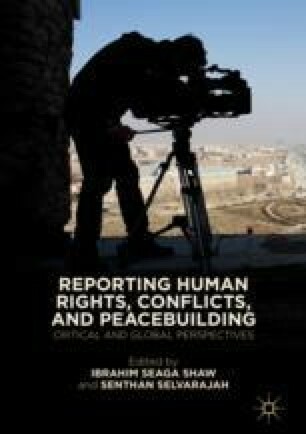 A new approach to the use of media and communication in contexts of conflict has been emerging in recent years. Known in the humanitarian field as Communicating with Communities (CwC), it aims to address the short-term complexities and issues that arise in the immediate aftermath of a crisis, and seeks ways to provide a rapid response to emergencies through the use of media. CwC can be crucial in preventing further conflict, as the element of communication provides the opportunity for participation and feedback that is needed to strengthen relationships, trust and dialogue. This chapter explores the recent literature on CwC, which still largely belongs to the grey sphere. It brings together reflections, approaches and practical experiences from both researchers and organisations working in humanitarian settings. It discusses the implications and the potential that its adoption brings to international aid. Lastly, it highlights the significance that this communication approach has in connection with journalism.